Hello! My name is Michelle Coats and I will be graduating from Life University in June of 2018. It is an honor to learn from Drs. Lou and Laurie. I'm so grateful to be welcomed into the Wellness Chiropractic Center tribe! I knew from a young age I wanted to help people. At 13 my mother passed away from cancer, and because of the suffering I had witnessed I decided that helping people with their health was the difference I wanted to make in the world. It began my quest for a career in the healthcare field. Chiropractic found me when a childhood neighbor and friend, who became a chiropractor, stopped me and explained that the body has the potential to heal itself if the nervous system is optimally functioning and that a chiropractic adjustment is able to remove interference in the nervous system. It perfectly aligned with what I was searching for, and I knew that I had found my calling. I grew up in the small town of Portland, Indiana. I graduated from Butler University with a Bachelor's of Science degree in Biology. Following my love for pregnancy and children, I have been trained in the Webster Technique, and I am also pursuing my fellowship in pediatrics with the International Chiropractic Pediatric Association (ICPA). Upon graduation my husband and I will be opening a practice in Salt Lake City, Utah. Hello, my name is Adam Coats. I’m an intern attending Life University and I will graduate in June 2018! I’m excited to working with Dr. Lou and Dr. Laurie and the amazing team here at the Wellness Chiropractic Center! As a teenager and throughout high school, I suffered from migraines almost daily, just like so many others in the world. I took over the counter medications daily, with little to no help or relief. I never understood why I would take so many medications, and still get so many migraines until I understood chiropractic and how the body actually works. All the drugs I had taken over the years never helped my body function better, whereas chiropractic did. I was born and raised in Portland, IN. I grew up being active and playing baseball, basketball, football, and golf. I graduated from Ball State University in Muncie, IN with a Bachelor of Science degree in Exercise Science. I then moved to Marietta, GA to start my doctorate of chiropractic degree at the most prominent chiropractic school in the world, Life University. Outside of chiropractic, I love hiking with my wife, Michelle, and exploring the great outdoors. I am also an avid reader, constantly reading books on personal development and helping others. Some of my favorites include; Start With Why: How Great Leaders Inspire Everyone to Take Action by Simon Sinek, Man’s Search for Meaning by Viktor Frankl, and anything written by Tim Ferriss. 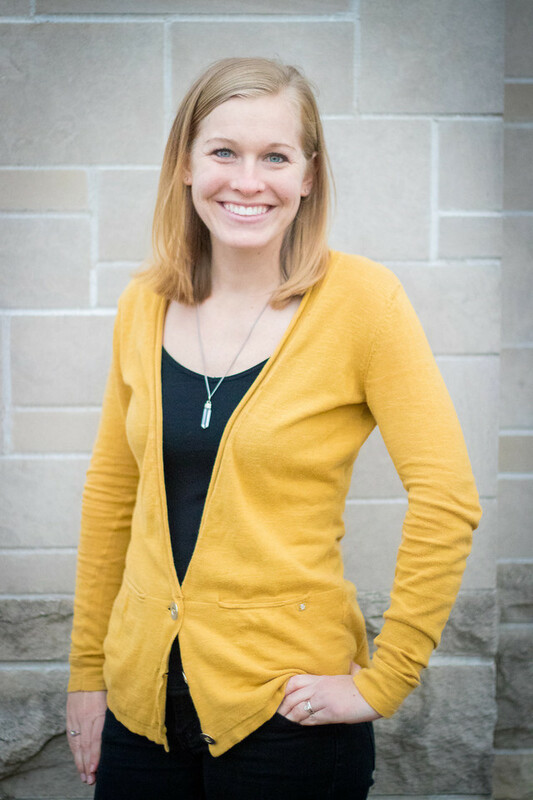 My name is Katie Leonardis and I am so excited to be a part of the Wellness Chiropractic Center family. I will be graduating from Life University in June 2018. I can’t wait to start serving my future community with the passion that Dr. Lou and Dr. Laurie Briegel bring to theirs. In my free time, I enjoy yoga and spending time outdoors. Every fall I look forward to the start of the college football season (WE ARE!). I was born and raised in Belvidere, NJ. I went on to attend the Pennsylvania State University where I graduated in 2014 with my degree in Kinesiology. My exposure to chiropractic began with what I like to affectionately refer to as my “quarter life crisis”. I originally planned on attending Physician Assistant School and was placed in a senior internship within the field when I realized I hated what I was doing every day. I felt like I was only masking symptoms of my patients, but never truly helping them. I ended up quitting my internship and applying to the only office that still had an opening in the area, a Chiropractors office. At my new chiropractic internship, I fell in love with the field. It was amazing to see the difference we were able to make in these people’s lives by helping their bodies function to their highest potential. While at my internship, I began receiving regular adjustments and my eyes were opened to what chiropractic can do even for those who consider themselves healthy (like me!). I look forward to meeting each and every one of you in the office and I can’t wait to bring chiropractic to the community of Chicago this summer! Hey Y'all! I am so excited to be joining the Wellness Chiropractic Center family in October 2017. I am a intern from the Doctor of Chiropractic program at Life University. My goal is to one day open a practice of my own and I am so thankful that I get to learn from the best, Drs. Lou and Laurie Briegel! I was born and raised in south Mississippi. I received my first chiropractic adjustment at the age of 5 and wish that my parents had found chiropractic sooner because of the amazing health benefits it provides. I spent most of my life involved in extra curricular activities such as soccer and cross country. My chiropractor from home was the only one who could get me back on the field after I developed severe low back pain. I always knew I wanted a career where I could help people improve their quality of life. After I witnessed the miracle of chiropractic in my life, I wanted to be able to help others the same way. I earned my bachelors degree in Biological Sciences from Mississippi State University in 2014 before I began my chiropractic education. I've had the privilege of calling Atlanta my home for the past 3 years. I love being outdoors and have enjoyed all of the lakes and hiking trails in this area. Chiropractic has truly opened my eyes to the amazing potential the body has to heal from the inside out. Proper communication between the brain and the body is so vital for our health. Chiropractic helps to maximize the function of the nervous system by correcting dysfunction in the spine and restoring that channel of communication between the brain and the body. I look forward to spending the rest of my life removing interference from the nervous system so that people can reach their maximum health potential through chiropractic care. 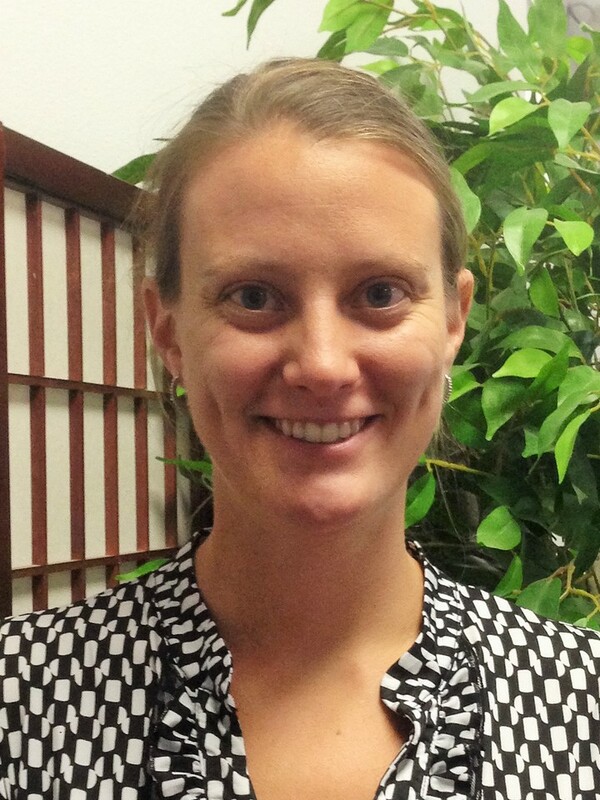 Hello everybody, my name is Rebecca Orr and I am a senior intern at Life University. Drs. Lou and Laurie Briegel extended a warm welcome to me into the office and I can't wait to do the same for this community. I will be working here from April to September of 2017 upon which I will be graduating. I was born in New Zealand and share dual citizenship with Australia. I was raised as a missionary kid in the field! From age 5 I lived and worked along side medical teams in the Solomon Islands. It was this that started my love and passion of service to others. That foundation paved the way for my entrance into health care and chiropractic. I have since been a world traveler providing mission service to those in need every chance that I get. I completed my BS in Human Biology from Kettering College in Ohio, 2013 and immediately moved to GA to begin the Chiropractic program at Life University. After graduation I will be returning to Ohio to start work. My name is Elisa-Beth Tveitnes. I am a senior chiropractic intern at Life University, and I will learn as much as I can and enjoy my last quarter here at Wellness Chiropractic Center. I am from Norway. I discovered chiropractic after becoming sick myself. I became somewhat frustrated; why hadn't anyone told me about this earlier! My three children could also have benefited from chiropractic care, if I only knew about it sooner. So that's why I wanted to become a chiropractor; to let more people know about this great natural health care and help family and friends become healthier. I love doing yoga and being outdoors, especially hiking in the mountains. I will be graduating in June, and move back to Norway shortly after. I'm looking forward to going back and spreading the chiropractic message and serving my local community. Hello, my name is Zachary Anthony and everybody calls me Zach. I am a senior chiropractic intern attending Life University with an expected graduation date of June 2017. I am originally from Midland Texas. For the past four years my family and I have been living in Kennesaw, Georgia while my wife and I finished our chiropractic degrees. We have three children (two boys and one girl). I am a sports fan when it comes to basketball, football and soccer. Chiropractic has always been something that I have been passionate about since I was seven years old. The chiropractic lifestyle was presented to me when I was seven. I was a child that was very sick growing up with asthma and various allergies. My mother decided she wanted to try something more natural. I began to get better and started to gain a ton of appreciation for chiropractic and what it could do for people. Looking forward to spreading the chiropractic message and to help people strive for optimal health. Looking forward to starting my journey at the Wellness Chiropractic Center with Dr's. Lou and Laurie as well as the staff. My name is Rebecca Brouillette. I am a Senior Chiropractic Intern at Life University College of Chiropractic in Marietta, GA with an expected graduation date of March 2017. I am originally from New Hampshire, but I have lived all over the place! I have my Bachelors of Science degree in Kinesiology from Temple University in Philadelphia. I moved to Georgia in 2013 with my then boyfriend, and since moving here we have gotten both engaged, and recently married on April 2, 2016! We love living in the south with our two cats, Brady and Summer, and our black lab Jack. I have a passion for pediatrics and maternity care. I cannot wait to start my chiropractic career with Dr. Lou and Dr. Laurie, as well as the amazing Wellness Chiropractic Center staff! Hello, my name is Dillon Huffer. I am a senior chiropractic intern attending Life University with an expected graduation date of March 2017. I have also received my bachelors degree in exercise science from Life U.
I am originally from the rural town of Jackson Center, Ohio. For the past five years, I have lived in Marietta, GA. I enjoy spending time in the outdoors, such as hiking, and playing sports like basketball and golf, as well as watching football. Chiropractic has always been a great passion of mine. The chiropractic lifestyle was instilled in me at a very young age. I give credit to my grandfather, who graduated from Palmer College of Chiropractic in 1970. With intentions of being a third generation chiropractor, I am looking forward to spreading the chiropractic message to the world to help people strive for optimal health and overall wellbeing. I look forward to beginning this journey at the Wellness Chiropractic Center with Drs. Lou and Laurie and staff! 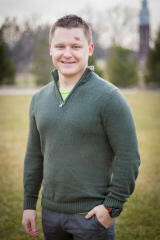 My name is Ryan Moore and I am currently a senior intern at Life University college of chiropractic. In December I look forward to graduating and pursuing a career in this wonderful profession. I was born and raised in Columbus Ohio and graduated from the Ohio State University with a bachelor degree in art. I pursued painting and drawing while in undergrad but soon found myself "drawn" (pun-intended) to chiropractic. Chiropractic is equal parts science, art and philosophy and it seemed like a natural fit. Fast forward a few years and here we are! I can say that I can't thank God enough for the path I am now on. I enjoy art, nature, coffee shops and saying way too many puns. I will be working at Wellness Chiropractic Center for the next few months with Dr. Lou and Dr. Laurie and cannot thank them enough for the blessing of being able to work with them to provide care to the Canton community. Looking forward greatly to working with everyone. 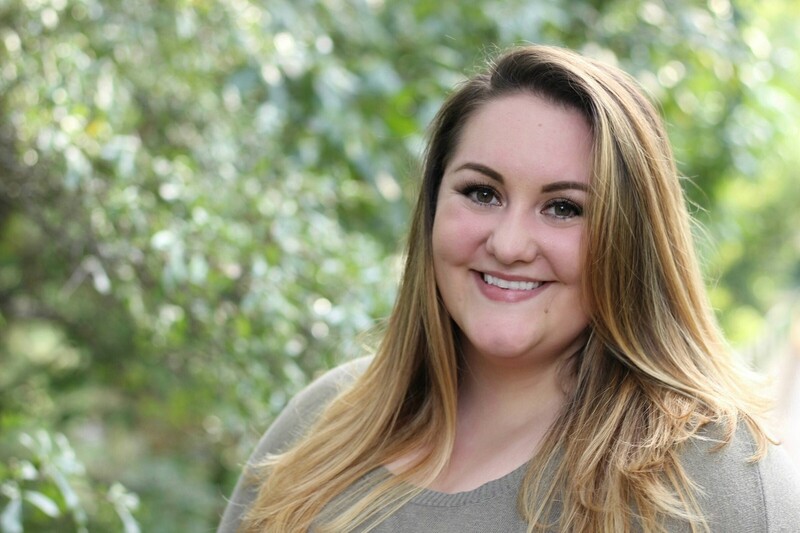 My name is Mercedes Sayer and I'm a senior intern at Life University. I'm due to graduate in September and could not be more excited to close the academic chapter of my life and start serving my community through chiropractic care and health education. I was born and raised in Lansing, Michigan with six younger brothers. Yes, six. 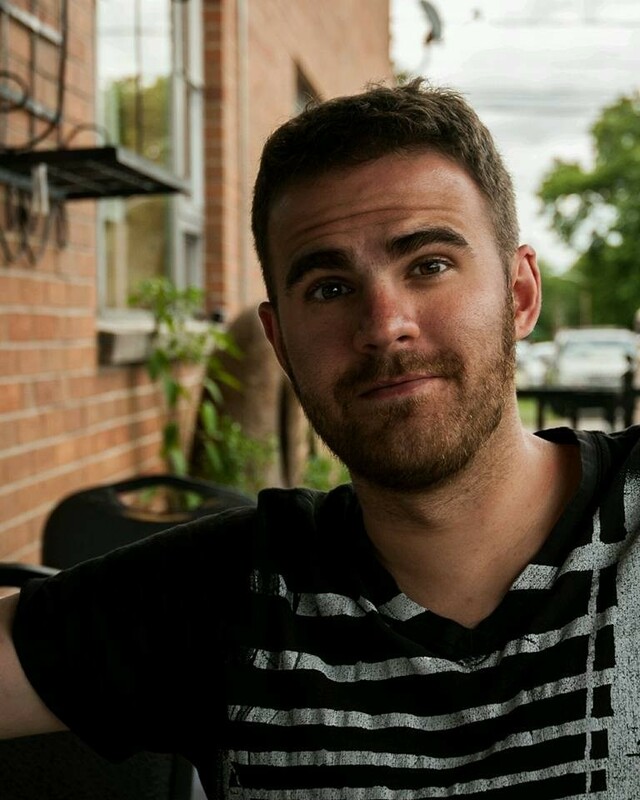 After pursuing music and theater, I set my sights on being a chiropractor and completed my undergrad in Lansing. I moved to Marietta, GA in 2011 to attend Life University and have rather fallen in love with Georgia. I currently live in Marietta with my incredible significant other, Larkin. In my spare time (what there is of it) I enjoy singing, reading, and drawing on my etch-a-sketch. I will be working at Wellness Chiropractic Center until graduation and could not be more grateful to learn from Drs. Lou and Laurie and serve with them in the Canton community. Hello everyone! My name is Bethany Paiser. I am originally from rural Wisconsin. Despite the trends of my family to stay locally, I spread my wings and landed next door in Michigan. While in Michigan, I began working for a chiropractor. Little did I know I would be moving to Atlanta to pursue a Doctor of Chiropractic degree within the next couple of years! Now, I am a Senior Chiropractic Intern at Life University. My expected graduation date is September 23, 2016. I am delighted to be a part of such a wonderful profession so that I can share the expression of life and health with the masses! I have been blessed with a wonderful, supportive significant other. We have two cute, playful puppies (though I can hardly call them puppies anymore), and a fat, black cat. We look forward to the next phase of our lives, wherever that may take us! I am sincerely grateful for the opportunity to work with Dr. Laurie and Dr. Lou and their staff at the Wellness Chiropractic Center. I am eager to learn all I can in the short time I am here. I look forward to serving the Canton community with them. My name is Derek P. Kaczor. I am a Senior Chiropractic Intern at Life University College of Chiropractic in Marietta, GA. My expected graduation date is June, 2016. I am originally from Michigan, where I attended Siena Heights University on a baseball scholarship. After receiving my Bachelor's in Biology I moved to Georgia to pursue my Doctor of Chiropractic degree. I have a wonderful and beautiful fiancée and 10 month old baby girl (Ashley and Hannah), and two awesome dogs (Abby and Raji). 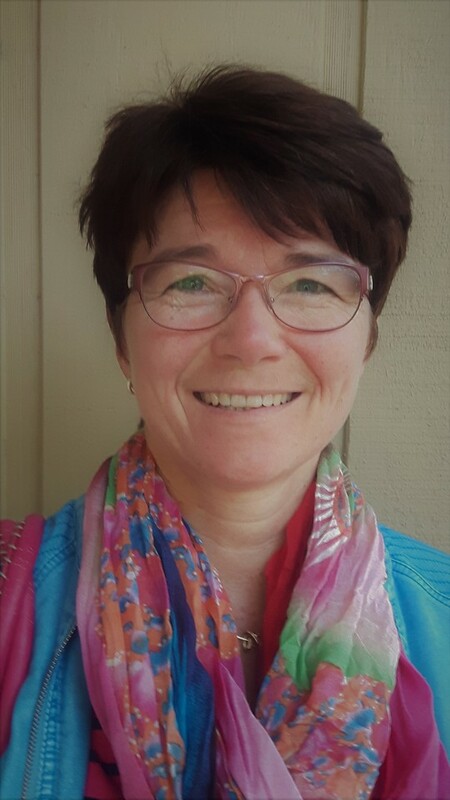 Here at Wellness Chiropractic I will be working closely with our Registered Nurse Sarah, as well as, both Dr. Lou and Laurie to best serve our Wellness Partners. I am excited and eager to learn and better myself through this experience! I want to thank Dr. Lou and Laurie, as well as, the entire staff at Wellness Chiropractic for allowing me to be part of their team! Hi everyone!!! 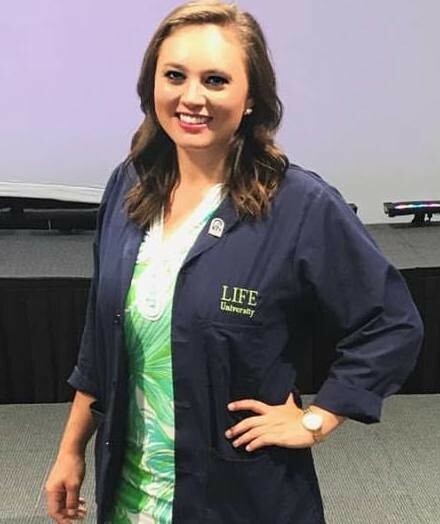 My name is Andrea M. Diaz and I am a Senior Intern from Life University College of Chiropractic in Marietta, Georgia. My expected graduation date is December, 2015. I am passionate about my work and thankful to God for the opportunity of sharing my passion everywhere I go. I am originally from Puerto Rico, from where the hugs are always served with a smile. 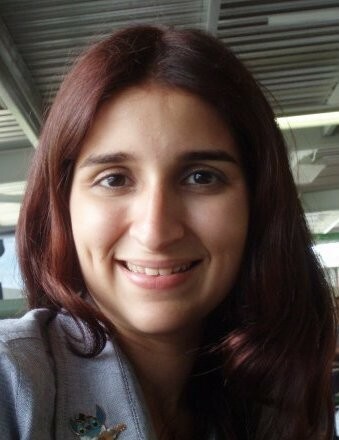 I received my Bachelor’s degree in Chemical Science from the University Of Puerto Rico in 2007. Working in that industry for several years I started feeling like something else was missing in my life; not too long after a good friend of mine told me that I should become a chiropractor. I starting my research and fell in love with the profession. I visited the campus at Life University and knew at that moment that I was in the right place... and at the right time. Three years later here I am! I will like to thank Doctors Lou and Laurie Briegel and the staff at Wellness Chiropractic Center for giving me the opportunity to work and learn with them on my internship! 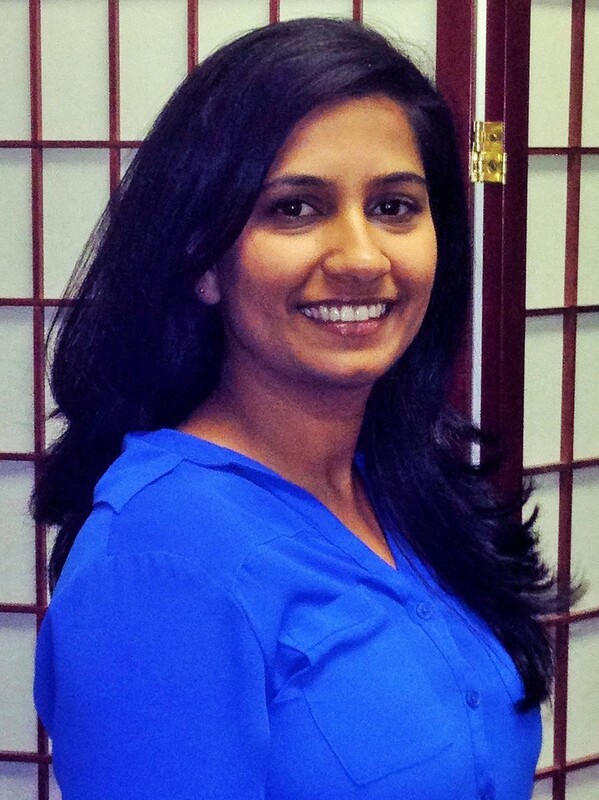 My name is Marilyn Frontera and I’m a Senior Chiropractic Intern from Life University in Marietta, Ga. I consider myself to be a very sweet and charismatic person. I love to work with and around children; it reminds me of the inner child we all possess: being very innocent, beautiful, and honest. I look forward to meeting most, if not all of you, and being part of your journey and the road towards health through Chiropractic. I was born and raised in Puerto Rico. I received my Bachelor’s degree in Biology from the University of Puerto Rico. After having experienced chronic headaches and low back pain due to a car accident I was introduced to chiropractic. After seeing the benefits that chiropractic did in my life I knew that I wanted to become one. I’m extremely excited to serve and share my passion in the community so they can experience all the wonders and benefits of Chiropractic. I feel very grateful for the opportunity that Doctors Lou and Laurie Briegel have given me to be a part of their practice and learn by their sides as well as the staff of Wellness Chiropractic Center that have been very helpful and welcoming. My name is Liza Socorro, and it is very nice to meet you!! I am originally from Puerto Rico and now, your Life University Intern ready to be a part of your chiropractic experience alongside the beautiful people of Wellness Chiropractic Center. I received my Bachelor’s Degree in General Sciences from the University of Puerto Rico in 2011, and in 2012 moved to Georgia in order to pursue my career as a Chiropractor. It has been a very amazing journey to study Chiropractic, and I know that it will continue to feel that way every single day because, I love what I do. I am a very caring, humble, and creative person that enjoys serving and helping others. I believe in Chiropractic and what it can give each and every one of you. I can’t wait to be part of your Chiropractic Miracle!!! Hi everyone!!! My name is Ada Caraballo and I am a 13th quarter P.E.A.K. intern from Life University College of Chiropractic in Marietta, Georgia. My expected graduation date is September 25, 2015 and I am looking forward to spread and share my passion for chiropractic everywhere I go. I am originally from Puerto Rico and the oldest of four sisters. I received my Bachelor’s degree in Biological Sciences from the Inter-American University Of Puerto Rico on 2010. It was by my own personal experience of chronic headaches that I was introduce to chiropractic, and after experiencing all the benefits I had received since starting care I decided this was the way I want to share health with my community. I visited the campus at Life University and knew that I was going to be a chiropractor! I will like to thank Doctors Lou and Laurie Briegel and the staff at Wellness Chiropractic Center for giving me the opportunity to work and learn with them on my internship. My name is Joseph Soto, your happy puerto rican senior intern from Life University. 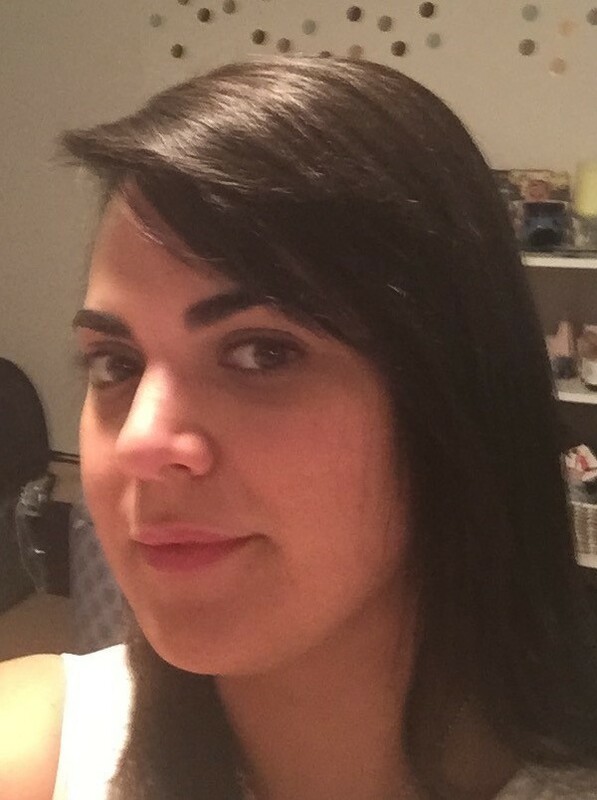 I am a dynamic and wonderful person that love helping and enjoying everything I do in Life.I received my Bachelor’s degree in Chemical Engineering from the University of Puerto Rico on 2007. So come to meet me and enjoying the magic of Chiropractic along with the magnificent people of Wellness Chiropractic Center. Hope to see you soon and remember theres no better time than today, what you are waiting for? I was privileged to be born and brought up in Zambia until the age of 15. Then I moved to Canada with my family, where I completed the rest of my high school and Undergraduate degree in Neuroscience. I then decided to do Chiropractic as it fit with my philosophy of allowing the body to heal itself naturally. My hobbies are painting and doing crafty projects. I love to travel, and eat food from different Countries and ethnicities. I look forward to meeting everyone at Wellness Chiropractic Center and learning about you! Hi everyone! My name is Katelin Steigenga and I am a senior chiropractic intern at Wellness Chiropractic Center and I go to Life University. I grew up in Spring Lake, MI and got my Bachelors of Science degree from Grand Valley State University. I moved to Marietta, GA in Jan 2011 to pursue my Doctor of Chiropractic Degree. I love chiropractic and removing nerve interference by removing subluxation. I also recently got married. My husband Jonathan and I love to go boating, play with our dogs, bonfires and hanging out with friends. I look forward to serving all of you here at Wellness Chiropractic Center. 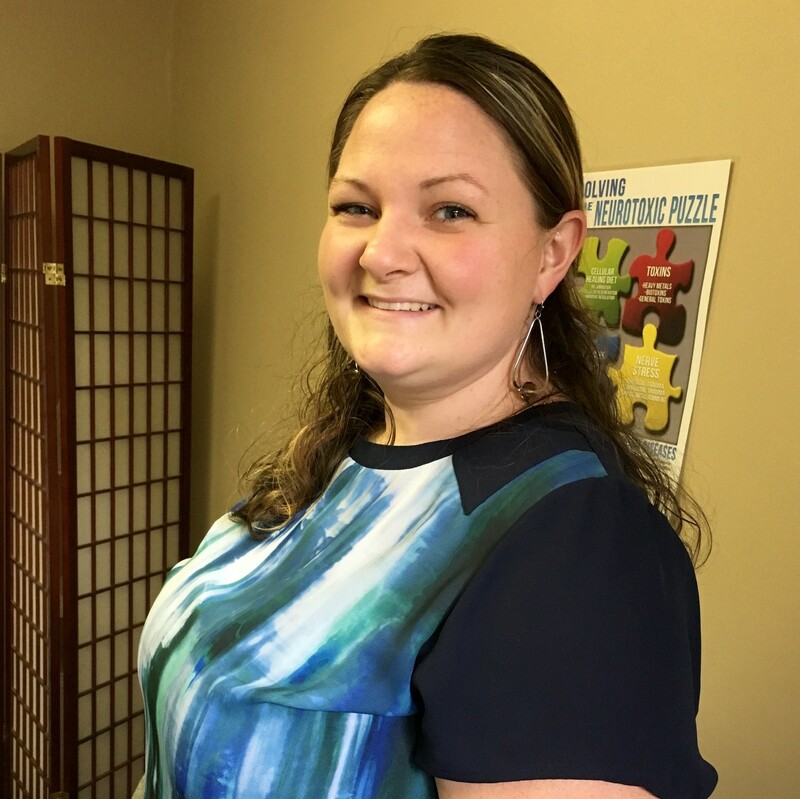 My name is Rana Slatton, and I am a senior chiropractic student intern from Life University. I have lived in the Atlanta area since I was quite young, and I currently live in Marietta with my husband, Shaun, and our two cats. We enjoy spending time with our families, traveling, playing board games, and being outside! As a long-time chiropractic patient, I have personally experienced the benefits of chiropractic care and I wanted to be able to provide that for others. Therefore, after attending the Georgia Institute of Technology for my Bachelors of Science degree, I decided to pursue a Doctor of Chiropractic degree at Life University. I am also furthering my knowledge in pediatric and pregnancy chiropractic through the International Chiropractic Pediatric Association. I am looking forward to serving my community as a family Chiropractor after graduation in September 2014! I am excited to work with Drs. Lou and Laurie Briegel and their staff for the next 6 months. I am so grateful for this opportunity to learn from them and to serve the Canton community during my time at Wellness Chiropractic Center. My name is Nicole James and I will be interning at Wellness Chiropractic Center from April until graduation in September 2014. I am looking forward to serving and telling everyone I can about chiropractic. I am originally from Houston,Texas. I received my Bachelors Degree in Biology from Xavier University in New Orleans, LA. I enjoy spending time with family, friends, writing poetry, working out, community service, and spending time with my two dogs "Nia" and "Diamond". I am honored to be serving at Wellness Chiropractic Center. I thank Dr. Lou and Dr. Laurie for giving me the opportunity to serve in the office and learn from them. I look forward to meeting all of you and assisting you in any way that I can. Hi, my name is Jamie Braddy. I’m currently a 13th quarter student at Life University. I will begin interning with Drs. Lou and Laurie in January 2014 and will graduate in June 2014 with my wife, Alicia, who is also a student at Life University. I am excited to have the opportunity to serve the community through chiropractic and share with others all the amazing benefits chiropractic has to offer. I’m originally from South Georgia from a town called Hazlehurst. I spent six years in the United States Marine Corps following high school. I am still currently enlisted in the military in the Georgia Air National Guard. I completed my undergraduate work at Georgia Southern University before being accepted in the College of Chiropractic at Life University. Thanks to Drs. Lou and Laurie for giving me this incredible opportunity to expand my knowledge and skills in their office. I look forward to meeting you as well as getting to know you as I begin my journey with Wellness Chiropractic Center. 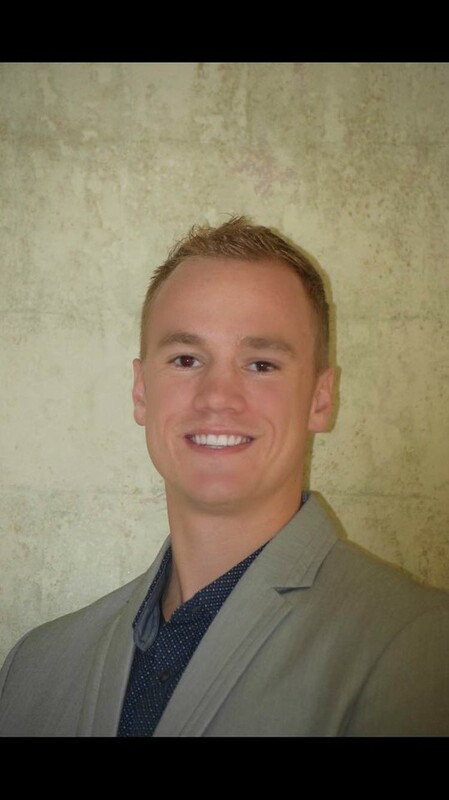 My name is Austin Mead and I have joined Wellness Chiropractic Center as a chiropractic student intern from January to June 2014 while I finish my 13th and 14th quarters at Life University. I was born and raised in Grand Junction, Colorado which is found on the banks of the Colorado River on the state’s western slope. Growing up I enjoyed playing baseball, hiking, camping, river rafting as well as a variety of winter sports and activities. I received my Bachelors of Science in Biology from Colorado Mesa University. As a smaller school it gave me a great environment to learn, including a semester living in the lowland rainforest of Ecuador which provided great life experience. I’m excited about living a life of service as a chiropractor and the opportunity I have at this clinic to serve the community and to learn and grow over these next six months. I fell in love with chiropractic when I realized the power it had to change the lives of people allowing them to live a healthy lifestyle full of the activities they love. I look forward to meeting you all and assisting you any way I can. 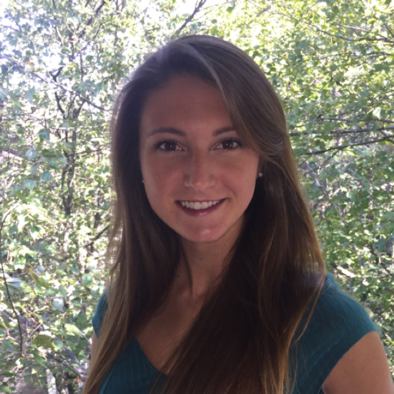 My name is Sam Potrzebowski, and I am a student intern at Wellness Chiropractic Center. I am originally from Michigan and come from a large, close-knit family. I received my Bachelors of Science from the University of Central Florida in 2010 and began working towards my Doctorate in Chiropractic at Life University immediately following. Some of my favorite things include traveling, dancing, playing tennis, and spending time with my supportive family. I recently got married to my amazing husband John, and am excited to continue on this wonderful journey with him. From a young age, I knew I wanted to help people, especially children. For quite some time, I was very interested in becoming a pediatrician until my eyes were opened to chiropractic. While in high school, a chiropractor spoke to our anatomy class and my life changed forever. Once I heard the chiropractic story, that healing comes from above, down, inside and out, I knew I was meant to be a chiropractor. Because of my passion for children, I have obtained additional training through the International Chiropractic Pediatric Association, and plan to work towards my diplomate upon graduation. I am very excited to be graduating in March of 2014, and am so blessed to be spending these next few months with Wellness Chiropractic Center! My name is Shaun Kloor and I am a 13th quarter student at Life University. I am joining Drs. Lou and Laurie along with their staff at the Wellness Chiropractic Center over the next six months as an intern. I was born and raised in Westminster, CO and grew up surrounded by chiropractic. Both of my parents are practicing chiropractors and I couldn’t imagine any higher privilege than spending my life helping my family and patients realize their dreams through optimal health and wellness. I’m excited to be learning all that I can in the time I have. So if you see me around come say hello, tell me what an amazing job I’m doing and make sure to tell me your favorite part about being a chiropractic patient! Hi my name is Kwame Jenkins, I’m a senior Chiropractic intern here at Wellness Chiropractic Center. Drs. Lou and Laurie Briegel have granted me the great opportunity to come into their practice and get a behind the scenes look at how business is run. I’m grateful to know that my clinical application will progress as a result of their knowledge and expertise as they have served this community for decades. I was born and raised in Jacksonville, FL where I gained an appreciation for helping others. I have served in various community projects and mentoring programs around the surrounding areas through organizations such as Student American Black Chiropractic Association, Get The Big Idea, Boys and Girls Club of America, etc. From a young age I knew I wanted to serve others through health services. It wasn’t until my sophomore year in undergraduate studies at Florida A&M University that I realized my calling was Chiropractic. From that moment forward I have been focused on providing quality care through specific chiropractic adjustments. I look forward to serving you as we make the journey towards optimal health and performance through Chiropractic. I would like to thank the entire staff and practice members here at Wellness Chiropractic Center for advancing my knowledge base so that I can impact the world. Let’s get well together!!! Hello. My name is Chantay Bess and I am a 13th quarter P.E.A.K. intern from Life University College of Chiropractic in Marietta, Georgia. My projected graduation date is June 14, 2013 and I am looking forward to changing the world with my love for chiropractic. I am originally from Washington, D.C. and the oldest of three sisters. I received my Bachelors degree in Biological Sciences from Clark Atlanta University in Atlanta, Georgia. For as long as I can remember, I knew that I wanted to be in a profession where I can help people and change lives. During my sophomore year in college, I was introduced to a chiropractor and immediately fell in love with the profession and the philosophy behind it. Not knowing much about chiropractic before this encounter, I was thoroughly interested to know more. I visited the campus at Life University and knew that I was going to be a chiropractor! I would like to thank Doctors Lou and Laurie Briegel for granting me with such a wonderful opportunity to work with them and the wonderful staff of Wellness Chiropractic Center during my last few months of my internship. I am very grateful to have the chance to work with such caring and loving people. My name is Brittany Williams. I am originally from Americus, Ga. I completed my undergraduate education at Savannah State University, where I earned a bachelor’s in Biology. I am currently in my thirteenth quarter at Life University. My journey in chiropractic began very close to home; in 2009 my father suffered a spinal cord injury. As a result of this incident, our family life changed drastically. It was then that I realized that the nervous system impacted each and every function of the body. When I began school at Life University it was evident to me that the holistic model was what I had been taught my whole life. Here I am almost three years later, I am fortunate enough to be able to complete my internship at Wellness Chiropractic Center under the guidance of Drs. Louis and Laurie Briegel where I will further my clinical experience. I am so excited to embark on this journey and would like to thank them for giving me this opportunity. Since I was a little girl, I knew that I was put on this earth to help people. As I grew up and began to recognize my social skills, I thought that I wanted to help people by being a counselor, so I went to school to become a psychologist. However, when I was in undergraduate school, it was unsettling to me how many disorders had “unknown etiology” and that people were given drugs to take care of the symptoms but that no one would be healed of these disorders that would mysteriously appear. Deep down I knew that there was a more profound way that I could help so many more people and I began to search for alternatives. Meanwhile, I was involved in a horseback riding accident that changed my life forever. About a year after my accident, I began to have leg convulsions which were diagnosed as seizures. After trying a few medications that only made the symptoms worse, I decided to see a chiropractor at the suggestion of a friend. Upon evaluation I was told I carried 30 lbs more weight on the left side of my body and the convulsions were my leg muscles fatiguing and creating severe muscle spasms from the extra weight. When I first learned about how chiropractic helps to restore disconnections of the body so it can heal, I immediately knew that I was destined to become a chiropractor. When I met my first chiropractor, who was 81 years old at the time, the passion he had for helping people through chiropractic served as confirmation that this profession was how I was to serve my fellow human. I am a hard worker, am very studious, and passionate about chiropractic and want to help as many people as possible to receive the benefits of a freed nervous system. I will graduate from Life University as a doctor of chiropractic in December and will join my business partners in Prattville, Alabama at our fully operating practice, Complete Life Chiropractic. Ultimately my goals and aspirations are to serve my community and their families in a safe, inspiring, and empowering environment, providing professional chiropractic treatment tailored to each patient with the intent of restoring proper function of the nervous system. I am committed to doing so with an ongoing spirit of service, dedication, and integrity, while holding myself accountable to the highest ethical standards. I pledge to my current and future patients that I will settle for nothing less than each individual reaching their optimum state of health and well-being by helping them to understand the importance of a healthy lifestyle and empowering them to create their ideal life. Hello I am Lataya Redfern and I am a student intern at Wellness Chiropractic Center. I recently attended a Peak Mix and Mingle event at Life University and while standing with a group of students Dr. Lou introduced himself. He began talking to us about chiropractic and I knew immediately that Wellness Chiropractic Center was where I needed to intern if I wanted to learn more about the art of chiropractic. Currently, I am studying at Life University to become a chiropractor and my graduation date is December 14, 2012. I am truly grateful for this wonderful opportunity. I grew up in Great Falls, South Carolina and prior to studying at Life University I received a bachelor's degree from the University of South Carolina. While completing my coursework I began to make several healthier lifestyle changes. These changes lead me to see that there are unlimited benefits to living a life that promotes wellness and optimum health. I began to research careers that would allow me to help others come to the same realization. I began to visit chiropractic offices and I was immediately drawn to the energy of the doctors and their patients. I knew then that I had to become a vital part of the chiropractic community. I am so happy about the choice I made to begin this journey into chiropractic. I would like to thank Dr. Lou, Dr. Laurie, and their staff for giving me the opportunity to intern at their office. 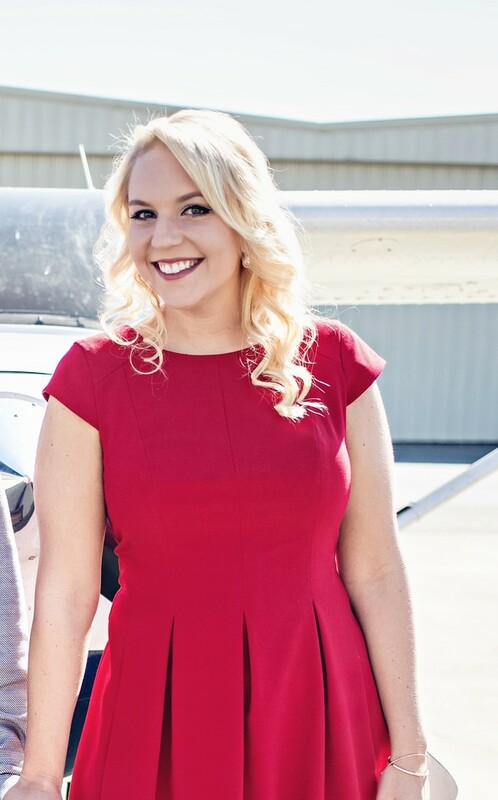 My name is Monique Harris and I am a 13th quarter student at Life University College of Chiropractic in Marietta, GA. Dr. Lou and Dr. Laurie have granted me this wonderful opportunity to work with them and their staff in the final stages of my degree requirements for which I am very grateful. I was introduced to them at an event our school holds which allows students to interact with different doctors in the community and the rest is history! My anticipated graduation date is September 2012, and I’m looking forward to joining the ranks of so many great doctors and help spread Chiropractic to the world! I’m originally from Milwaukee, WI and the youngest of three children. I did my Undergraduate Studies at Xavier University of Louisiana where I received my Bachelors of Science degree. I was introduced into Chiropractic back in 2007 while attending a fair at the University. Before that encounter, I heard about Chiropractic but didn’t know much about it and had never been adjusted. After touring the school I fell in love with the holistic approach to health care. So when people ask me why did you choose Chiropractic, I simply say I didn’t, it chose me! 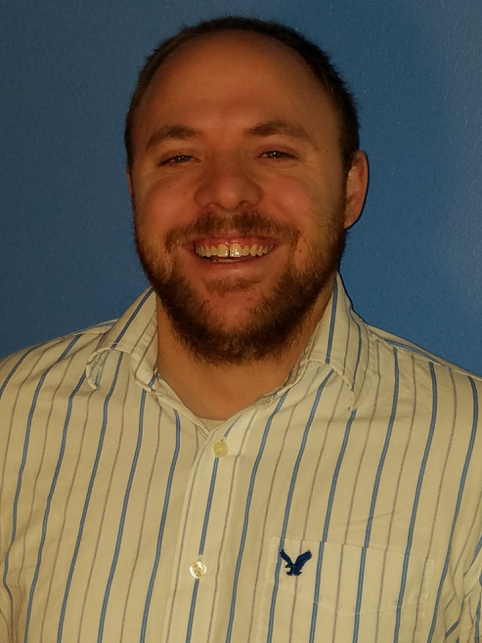 Hi my name is Eric Mack and I am a student intern at Wellness Chiropractic Center. I recently began interning with Drs. Lou and Laurie on April 2, 2012 and in my brief period under them, I have learned a lot. 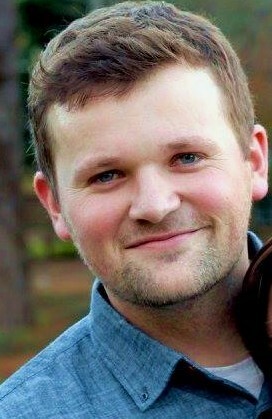 I am currently studying to become a chiropractor at Life University and I am scheduled to graduate in September 2012. I am originally from Cleveland Ohio and before beginning my journey into the world of chiropractic at Life University, I received my bachelor’s degree in Exercise Science at Ohio University in 2008. As I prepared for graduating from Ohio University I began to search and ask myself what am I going to do next, and I originally came up with two options that I believed fit me the best. My first option was to enroll in the physical therapy program at Ohio University and my second option was to apply to become a physician’s assistant. But a mentor of mine planted the seed about chiropractic and mentioned to me that I should look into it. At first I was a slight bit apprehensive because like most people that I know, I thought chiropractors just “crack backs”. So I began to conduct my own research and look into chiropractic. While researching and talking to a few chiropractors I found myself drawn into everything chiropractic stood for and realized how misinformed I was about chiropractic. I then began to apply to chiropractic colleges and in the winter of 2009 I was accepted and began my journey at Life University. As I continue to embark on this wonderful journey, I can honestly say chiropractic has changed my life in every aspect. I would like to say thanks to Drs. Lou and Laurie Briegel for giving me this wonderful opportunity to intern/peak at their office and I would also like to thank Drs. Lou and Laurie as well as Dr. Dawn Mavromatidis, the staff Sheila Johnson, Tammy Wendling and Kim Dehart for welcoming me with open arms, I am so grateful for this opportunity and I look forward to interning at the office.